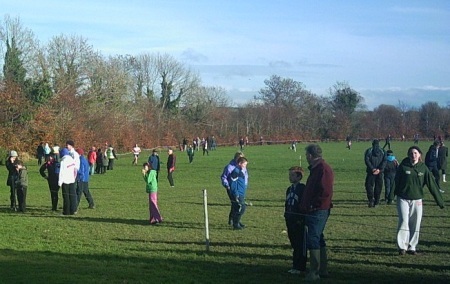 Glohealth AAI National Novice & Juvenile Uneven Age XC Championships, Dungarvan, Sun 06-Dec-2015, 2pm — St. Finbarr's A.C. The AAI National Novice & Juvenile Uneven Age XC Championships take place on Sunday, 06-Dec-2015 at St. Augustine’s College, Dungarvan, Co Waterford, just 2.5km (5 mins by car) from Dungarvan Town Centre on the R675. The Juvenile events get under way at 11.30am with the Novice Women up at 2pm and the Men at 2.20pm. The course is a flat one in and around the Collage grounds. However, with all the recent heavy rain, the course will probably be pretty well churned up by the time the Novice races get underway.